Since then, things have changed. 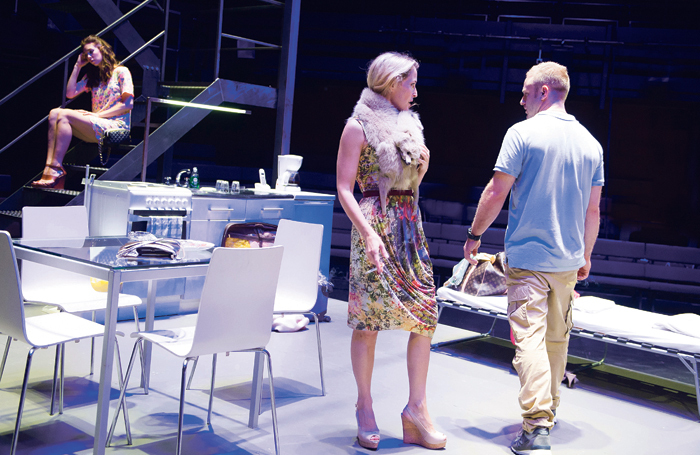 Swathes of British theatre­makers have sought inspiration from their German counterparts. As Bechtler says, they do things differently there: directors rip into scripts as raw material and actors eschew naturalism altogether. But if German theatre’s influence is visible here, it has had most impact on stage design. The precise effect is hard to pin down, as it is impossible to compress a country’s culture into a single set of coherent aesthetics. German design isn’t a single entity, and very little links the gaudy lollipop look of Herbert Fritsch’s surreal shows to Ulrich Rasche’s imposing industrial mechanisms clanking on stage. Pappelbaum’s material approach – paint-splashed and meat-strewn – is at odds with Lena Newton’s uncanny plasticity. Even so, there are echoes in British designers’ work, whether in the surge of stage viscera – blood, mud and ketchup – or the influx of inflatables. It’s in the recent tendency to admire an auditorium’s architecture, baring the brick walls of the Royal Court or the Almeida. Broadly speaking, Brits have turned from the pictorial to the sculptural in recent years – from recognisable realistic spaces to non-naturalistic stages. But Magda Willi, a Swiss stage designer who studied in London and is based in Berlin, argues that there’s no aesthetic divide between the two nations. She sees the distinction in terms of form: “A lot of it comes from the way we tell stories.” Brits lean into narrative, Germans tend towards the conceptual. Bechtler agrees. She has spent her career in Britain, having emigrated from Stuttgart in the 1970s. “London was the place to be then,” she says, citing its music scene rather than its theatre. Nor is she alone: Miriam Buether, Merle Hensel and Anna Fleischle are all based in Britain. “It’s no accident that there are now more German designers at work here,” Bechtler says. “They’re all working with a certain type of director.” The implication is that there has been a gradual overlap. It runs both ways. Eight years out of drama school, Sarah Beaton designed her first show in Germany last year: Faust at the Altes Schauspielhaus. Despite acknowledging the differences between the two scenes – “British theatre’s still reserved, Germany feels more playful, less contained” – Beaton said she didn’t change her style in Stuttgart, only her process. It’s a sign that Brits can slot in abroad. Such conditions do, ultimately, create different cultures. “There’s an understanding we’re making art,” Willi says. 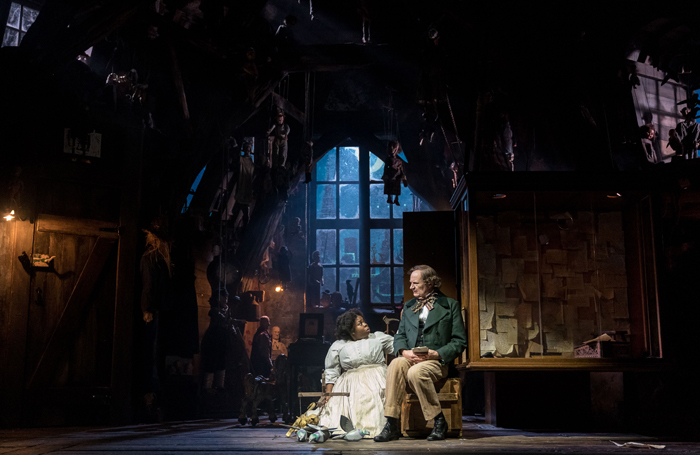 “Shows might not sell, but British directors have that pressure.” It means six weeks of rehearsals, not two months, with production managers keeping track of time. In Germany, production managers don’t even exist. Perhaps the grass is always greener, but Willi envies that efficiency, while British designers crave German freedoms. The belief is that it makes better art. British theatre has long looked to Germany in awe; Ralph Koltai’s recent death was a reminder of that. Born in Berlin, he emigrated in 1939, aged 15, and later revolutionised British design, creating stages that were more like abstract sculptures than traditional sets. He fashioned a Forest of Arden out of plastic and metal, part woodland, part thunderstorm, and sat The Tempest on a dish, like a lunar landscape. Even 50 years on, his work still seems contemporary – bold spatial gestures with a sense of real scale. Indeed, by the time Bechtler began work in the 1980s, many experimental theatremakers were looking to Germany, as directors such as Peter Stein, Heiner Goebbels and Christoph Marthaler hit their stride. Designers including Tom Cairns and Antony McDonald frequently travelled over to see Axel Manthey and Anna Viebrock’s work. “It didn’t exist here, that sort of theatre,” Bechtler says. “What I was doing didn’t suit most English directors.” Collaborating with theatremakers such as Tim Albery and Deborah Warner, she found a space to hone her instinctive sculptural style. “It became more mainstream,” she says, modestly. The ships and shapes of the recent Antony and Cleopatra at the National Theatre were hers, as were the spare stages of Robert Icke’s Mary Stuart and Oresteia that both went to the West End. The latter was recently restaged in Stuttgart, Bechtler’s first gig in the city of her birth. If the gap between London and Berlin has closed, blame the internet. British designers today have access to German theatre like never before. When Willi was studying at the turn of the millennium, she “knew the big names overseas, but the focus was on what designers were doing here”. Beaton, by contrast, relied on an online archive of designs from across the world. 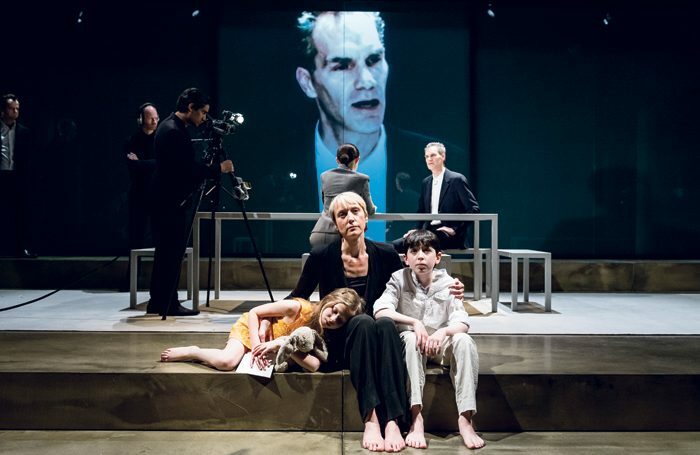 If British and German theatre really are closer together, it’s partly because the world is getting smaller.